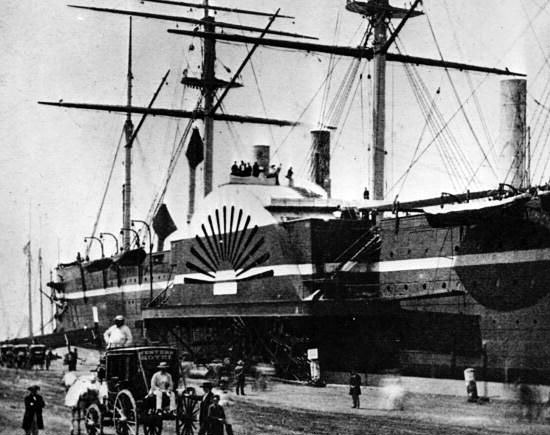 The More-Than-Great "Great Eastern" -- one of the most spectacular ships ever built! 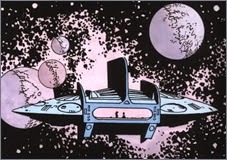 We will see more of this ship, but first let's consider the extraordinary figure of its designer, and a fantastic era he lived in. The Victorians - and so you don't have to look it up, means the British and U.S. during the reign of Queen Victoria, from about 1837 to 1901 -- did some truly great things. Theirs was an glowing-brass and crusty-iron era of chugging, whistling, hissing wonders. Nothing, they seemed to think, was impossible: the answer to every question, every engineering challenge, was just the matter of finding the right kind of steam engine for the job. 900,000 may not sound like much but keep this in mind: the Palace was home to more than 14,000 exhibits. 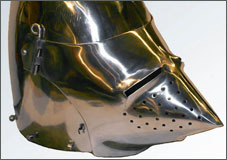 The Palace was something no one had seen before, a precisely engineered celebration of British innovation. 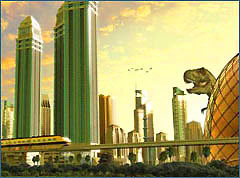 The future had arrived in Hyde Park, and it was a tomorrow of crystal and steel. 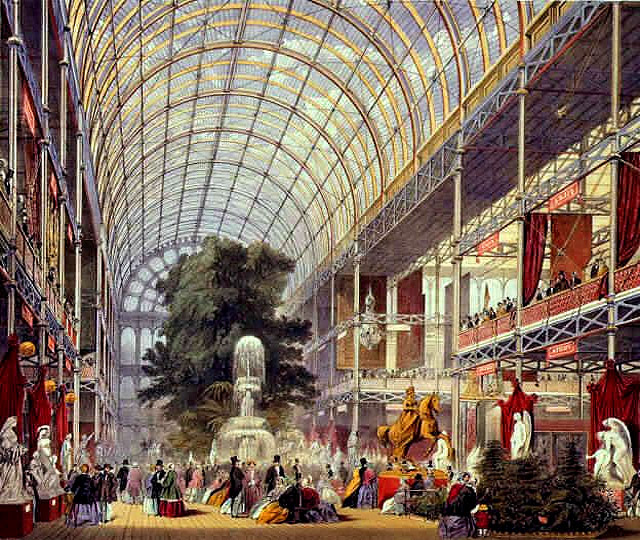 Another Victorian great was ... well, it might not have been as spectacular as the Crystal Palace but it was still something that made the people of London sit up and take notice. Or perhaps sit down and take notice. We take sewers and such for granted now but back then it was a true technological miracle, especially when executed on giant Victorian scale. Before Joseph Bazalgette began his work, London was a filthy nightmare. Decades, and more than 1,000 miles of pipe and connections later, the great city had become a marvel of cleanliness: a tomorrow of (mostly) clean streets and sweet smells. But perhaps the greatest of the great Victorian engineers was a rather small man with very big dreams. 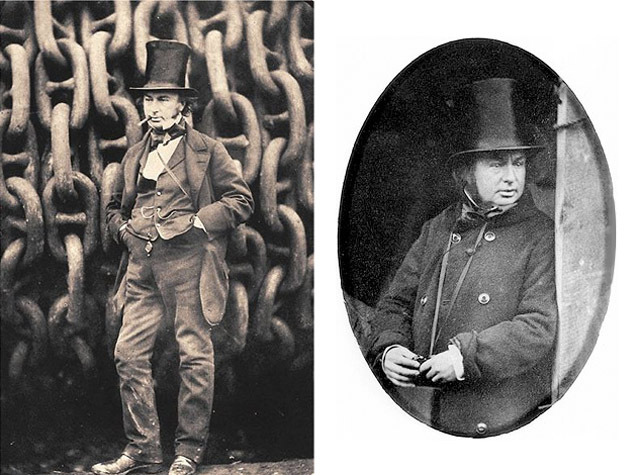 At just about five feet, Isambard Kingdom Brunel wasn't a striking figure but what he lacked in height he made up with towering ability. Sure, some of his ideas didn't ... well, work out that well, but no one denies his mechanical genius. 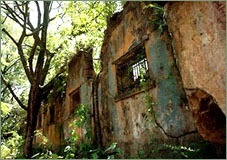 Even in failure some of his works were more advanced than the successes of his contemporary engineering rivals. Some say, "he was the most intense man in the business, the greatest artist ever to work in iron. He smoked 40 cigars per day and slept 4 hours per day." 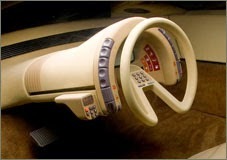 One of his early projects, and the one that almost killed him, was a tunnel. Okay, there were already a lot of tunnels -- and the Victorians took to tunneling like the Romans took to aqueducts -- but this one was different. It was a tunnel under the Thames, London's legendary river. But even Brunel's engineering skills weren't a match for the simple weight of all that water. 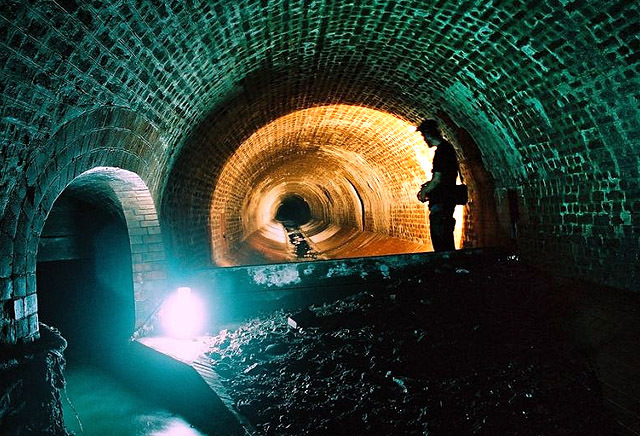 Even with the city's sewer advances the river was more like a toilet than a body of water, so when it leaked -- which the tunnel did a lot -- what came dripping down from the ceiling wasn't ... shall we say, in a dry British way, "pleasant." It all went very wrong in 1828. When part of the tunnel collapsed, a monstrous wave of filthy water roared down on Brunel, knocking him unconscious and propelling him toward a very nasty death. Luckily an assistant managed to reach out and grab the master engineer before his diminutive boss got sucked into that awful maelstrom. 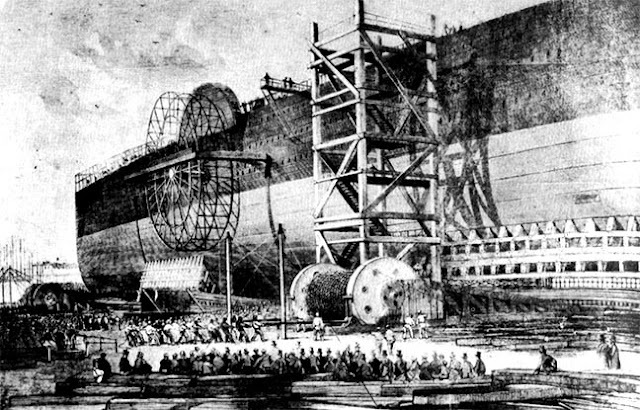 He then tackled the biggest and grandest of his big, grand projects -- what many folks see as one of the most spectacular ships ever built. 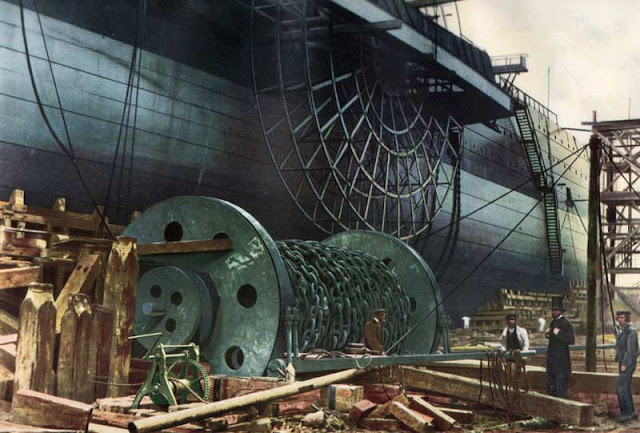 Although many innovations were used in the ship's construction, it was still mostly built by hand, with thousands of workers pounding the iron out of its hull from the first laying of its keel to its ultimate launch in 1858. When you look at pictures of the Eastern, at first it doesn't look like much; just a typical ship of that era with, perhaps, some odd details. 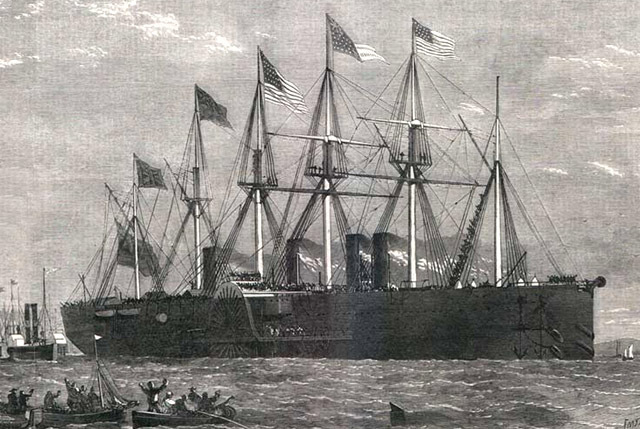 For instance, the Eastern had side wheels, propellers, and even sails on six huge masts. 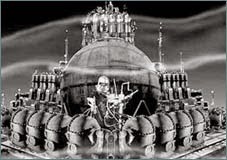 Seeing The Great Eastern chugging through a harbor or across the ocean must have been like watching an iron-riveted mountain, or a black metal volcano -- when its five funnels were pouring black smoke into the sky from its 10 boilers fed by 100 furnaces -- crushing across the sea. Okay, she was big -- you've got that. 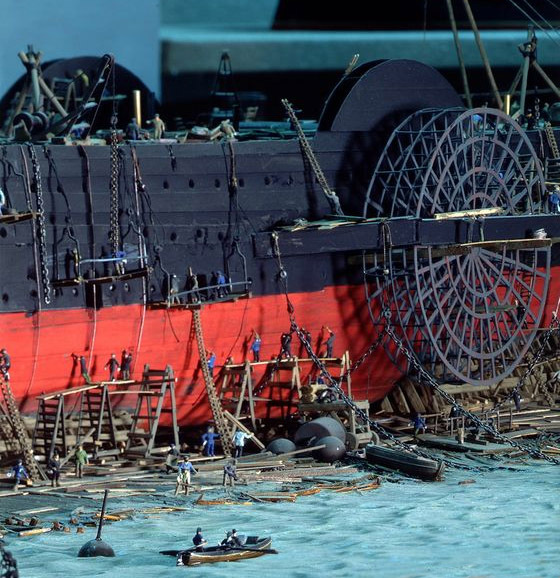 But I still don't think you really get how big Brunel's ship actually was. For instance, although the crew of the ship was around four hundred, but she was built to carry 4,000 passengers -- the population of a pretty good sized town. 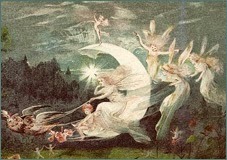 And this was in 1858. She also carried enough coal to take those 4,000 passengers a good, long distance. 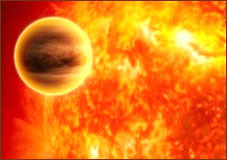 Around the world, in fact, without ever once needing to refuel. But the Great Eastern's most famous job wasn't shuttling passengers across the Atlantic. The Victorians had a great fondness for boilers, condensers, pistons, furnaces, and the stacks of steam power, but they'd also begun to harness the power of lightning -- or at least enough of it to send dots and dashes across a wire. The telegraph was a revolution but it was mostly limited to the continents. If you wanted to write Aunt Joan in New York you still had to put pen to paper and trust the post. 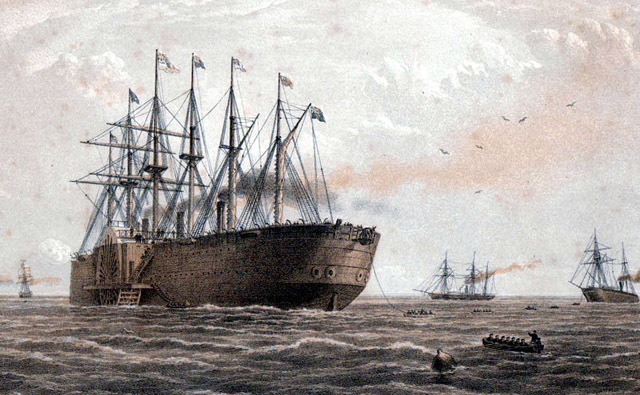 Until the Great Eastern laid the transatlantic cable. Time for numbers again: 2,600 miles of cable is what the Eastern carefully laid out across the Atlantic and later, across the Indian Ocean. Twenty-six-hundred miles when one kink, one break, would mean having to start all over again. That's a tremendous endeavor to try even today, let alone when men wore stovepipe hats and horses were still the preferred method of traveling on land. Two great ships: the "Great Eastern" & the "Titanic". 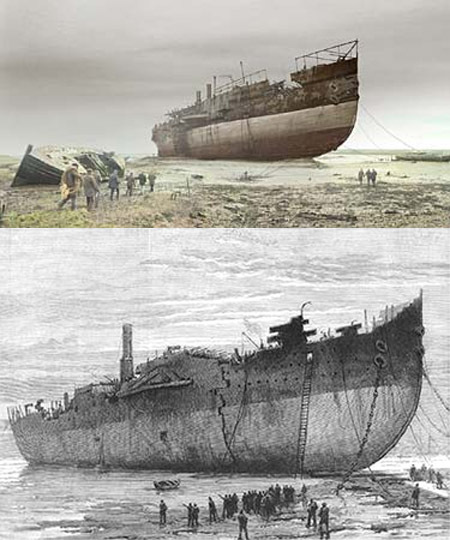 Both suffered a damage to their hull. 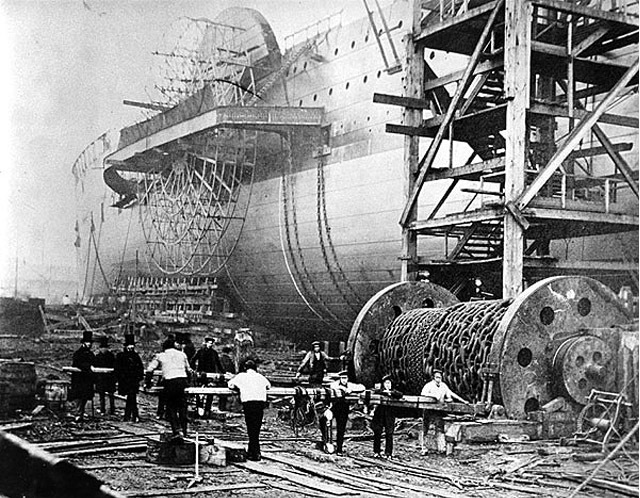 - Both the Titanic and the Great Eastern were the largest ships of their time. 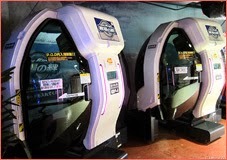 - Each suffered nearly the same accident, with utterly different results. 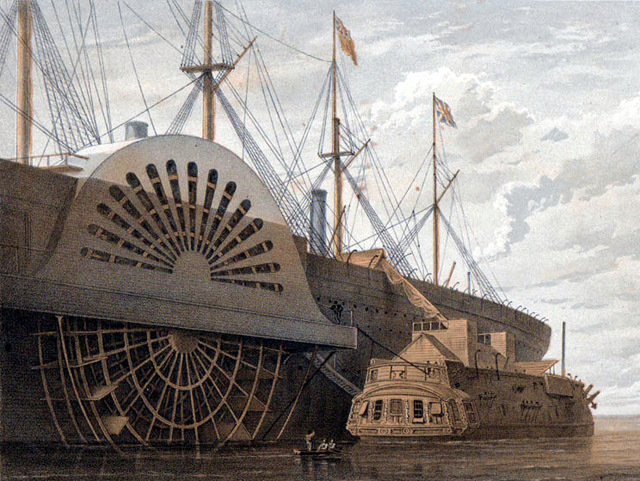 - The Great Eastern featured fifty water-tight compartments, and a maze of bulkheads. - The Titanic's hull had only a single wall on each side!.. 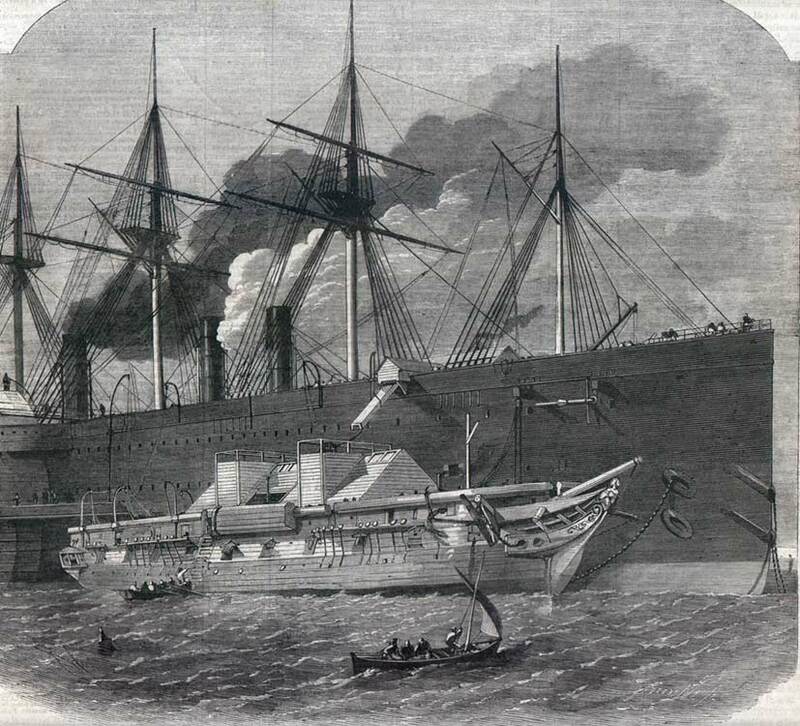 And even though the hull was divided in fifteen sections, which were designed to be sealed on a moments notice, "the bulkheads between those sections were riddled with access doors to improve luxury service"
The Great Eastern suffered a huge 83-foot-long, 9-foot-wide gash, after the encounter with an uncharted rock in Long Island Sound in 1862. 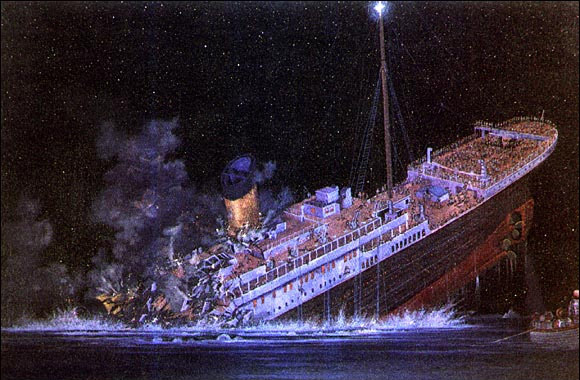 But the inner hull held, and the ship remained afloat. According to these recent acoustic imaging results, Titanic's hull "had not been gashed at all, but had been punctured in six of its forward compartments with a series of thin slits amounting to no more that 12 square feet." 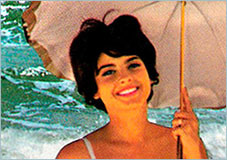 No double sidewall ensured the fate of famous luxury liner, sending it to the depths in less than three hours. Alas, the end of the Eastern came with more of a whimper than bang. 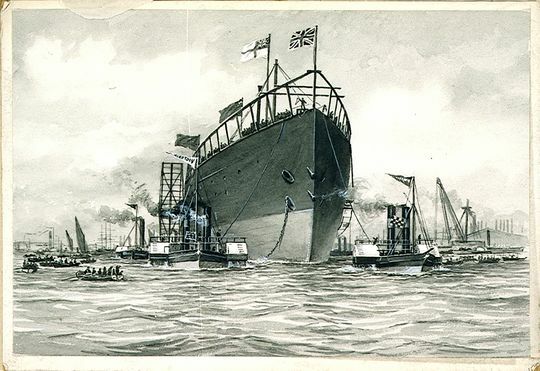 After suffering far too many accidents, and far too many money troubles, the Eastern passed from one hand to another until eventually the largest ship in the Victorian world came to a humiliating end, first as a floating billboard in Liverpool and then finally broken up and sold as scrap. - It took two ful years just to dismantle this ship (gives you an idea how big it was). At least Brunel didn't see the sad and pathetic end to his magnificent Great Eastern, though he didn't live to see its majesty either. 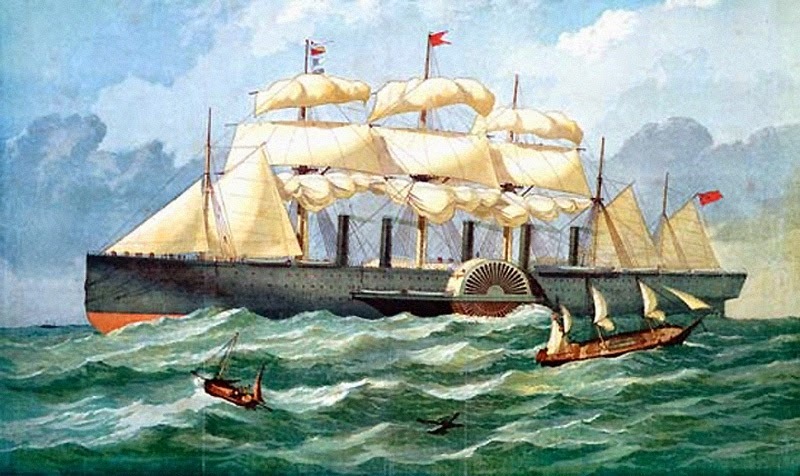 Brunel died only four days after the great ship's first sea trial. 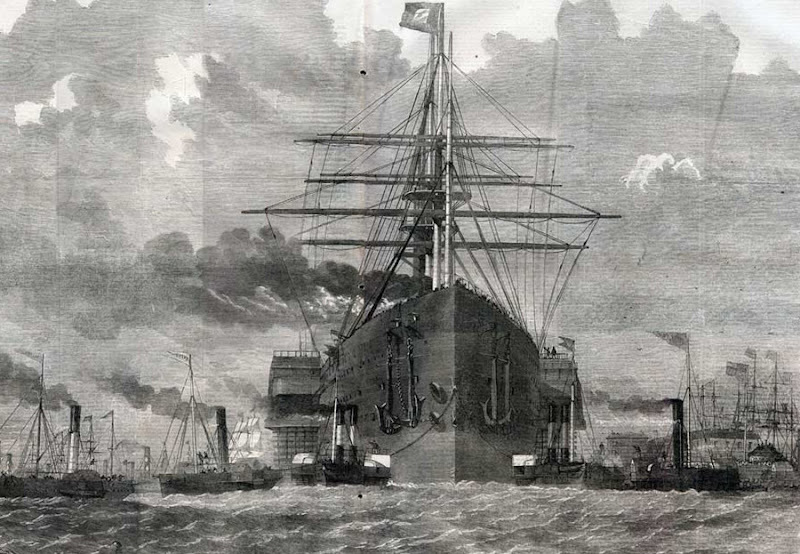 Brunel, fortunately, has remained an engineering legend, though his mighty Great Eastern has become nothing but a curiosity, a footnote in the history of Victorian grandiosity and innovation. 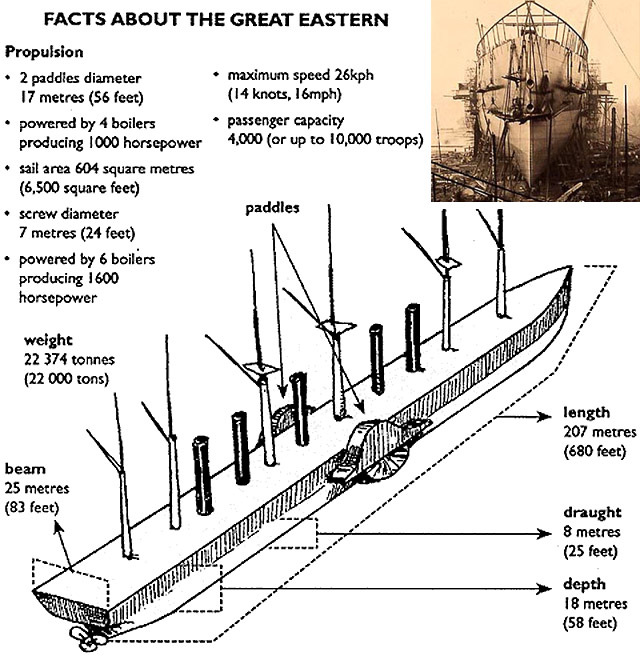 But you could say "The Great Eastern" left at least a pretty BIG footnote in the annals of history. 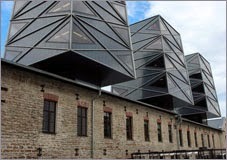 This article is co-written by author M. Christian (from "Meine Kleine Fabrik") and Avi Abrams. 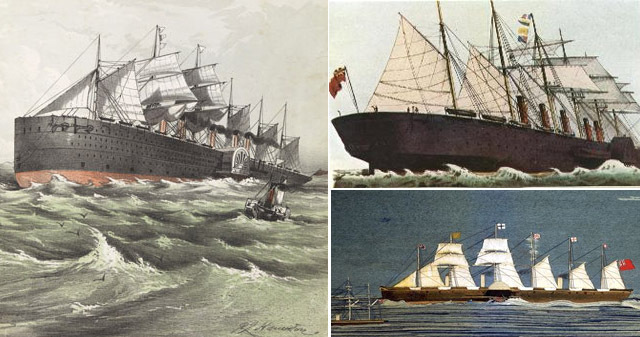 A decent article, but at least three of the Great Eastern images originate on my cable history website, but are credited elsewhere. 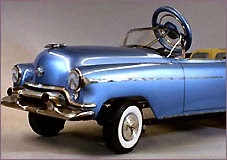 "Twenty-six-hundred miles when one kink, one break, would mean having to start all over again. That's a tremendous endeavor to try even today, let alone when men wore stovepipe hats and horses were still the preferred method of traveling on land." 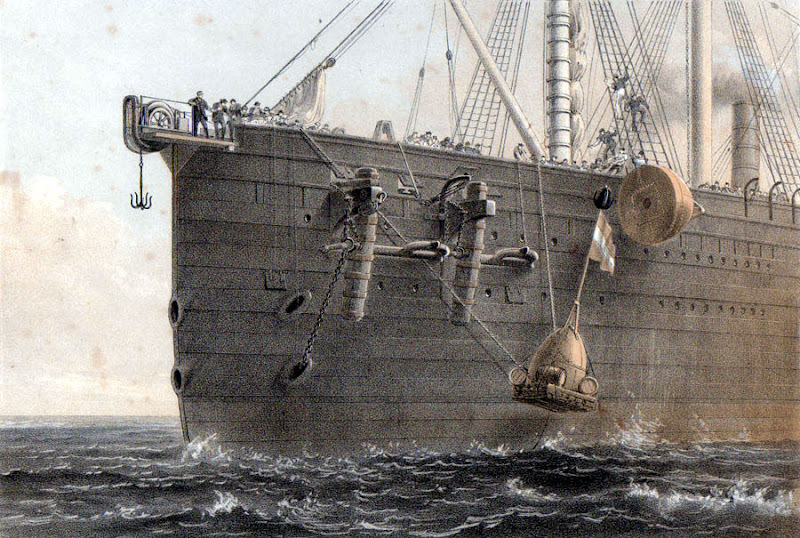 Cables were regularly hauled up and repaired on shorter runs during the 1850s, and in 1866 the Great Eastern recovered the lost end of the 1865 cable from 12,000 feet of ocean and completed it. And laying long cables today is quite routine. "A mysterious dead body was found inside that special double hull (one can only imagine the desperate story of that stowaway...)"
IK Brunel worked on the Thames tunnel (which is still in use) but the project was begun by his father Marc, the asylum-seeker and pioneer of mass production techniques. There is still evidence of the Great Eastern on the south shores of the Mersey near Rock Ferry where it was broken up. At low tide, a very few metal plates can be found, though they are quite difficult to spot. I'm not really getting a sense of the scale of this ship. How does the size compare to the Titanic, or the supertankers of today? Regarding the body found trapped in between two hulls. I believe that it was not a stowaway but a worker who got sealed in when they completed the outer hull.